Fourth-quarter earnings for the country’s largest broker channel lenders wrapped up a tumultuous year that delivered a mixed bag of results. Just as Home Capital is recovering from its liquidity crises of early 2017, Street Capital now finds itself “middle of a multi-year transition,” according to CEO Duncan Hannay, as it adapts to the new lending environment created by a slew of regulatory changes. The government’s October 2016 mortgage insurance rule changes impacted originations among all three lenders. Home’s single-family mortgage originations in 2017 were down 52% year-over year (though Q4 originations were up 126% from Q3). Meanwhile, Street’s prime mortgage originations in 2017 were down 32% from 2016, and First National saw a 10% decline (against a previous forecast of a 20% decline). Highlights from the conference call transcripts from Street Capital, Home Capital and First National are below. The comments in blue deserve particular attention. Home Capital reported net income of $30.6 million in Q4, up 2.1% from $30 million in Q3, but down 39.6% from $50.7 million in Q4 2016. Total loans under administration stood at $22.5 billion, down from $23.2 billion in Q3 and $26.4 billion in Q4 2016. Home’s “turn down” rate on mortgage applications improved to 60% from over 70% in Q3. Net interest margin stood at 2.02% in Q4, up from 1.85% in the previous quarter and down from 2.38% a year ago. Single-family mortgage originations were $516 million in Q4, up from $201 million in Q3, but down from $1.326 billion in Q4 2016. 24% of Home’s residential mortgage portfolio is insured, with an average LTV of 55.3% for the uninsured portion. Street originated $5.4 billion in new prime mortgages in fiscal 2017, down 32% from 2016. In Q4, Street originated $1.4 billion of new prime mortgages, down 46% from last year. However, it was noted that Q4 2016 was an above-average quarter due to borrowers rushing to purchase ahead of impending regulatory changes at that time. Street originated $62 million in Street Solutions mortgages in the quarter at an average rate of 5.05%. “We are off to a good start in 2018, and remain very comfortable with the $600-700 million volume targeted for the year,” said Lauder. For 2020, Street introduced a target of $1-1.2 billion in Street Solutions originations. Due to Street being “very selective about the product that we are originating,” CEO Duncan Hannay said they are seeing “very high” credit quality in the Street Solutions book. Mortgages under Administration in Q4 increased 7% year-over-year to a record $101 billion. Single-family originations in Q4 were up 4% from a year ago and single-family renewals were unchanged. First National’s commercial originations were up 21% year-over-year, with renewals up 16%. 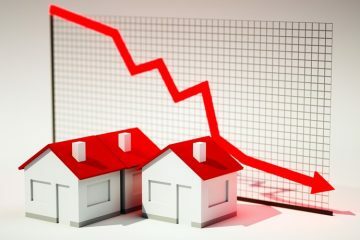 Despite forecasting a 20% drop in single-family originations due to the government’s October 2016 mortgage insurance rules, which reduced the market and increased competition for insured mortgages, First National finished the year with a 10% decline below its 2016 numbers. Executive Vice President Moray Tawse noted that the number received some lift due to some borrowers accelerating their purchases ahead of the B-20 implementation on January 1, 2018. Asked what was driving such strong year-over-year growth, Smith said First National didn’t have very competitive rates early in the year in 2017, along with effects from the October 2016 mortgage rules and a variety of other factors. Note: Transcripts are provided as-is from the companies and/or third-party sources, and their accuracy cannot be 100% assured. 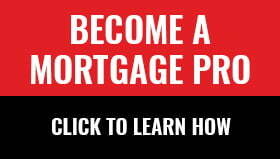 Steve Huebl is a graduate of Ryerson University's School of Journalism and has been with Canadian Mortgage Trends and reporting on the mortgage industry since 2009. His past work experience includes The Toronto Star, The Calgary Herald, the Sarnia Observer and Canadian Economic Press. Born and raised in Toronto, he now calls Montreal home.